Will the Apple brand become more open without Steve Jobs? Where is the Apple brand headed in the aftermath of Steve Jobs’s resignation as CEO? It’s a significant question for one of the world’s most valuable companies (depending on the daily ups and downs of the stock market.) Steve Jobs is more than the face of the Apple brand — he is the Apple brand. The company has willingly benefitted from the strength of his own reputation, which makes it all the more difficult to build a brand without him. We may see Apple focus its marketing and PR on the designers and engineers who labor behind the scenes to give us the iPad and iPhone. Apple might open up its brand with social media (a largely untapped opportunity for Apple) to show you more of its personality beyond Steve Jobs. 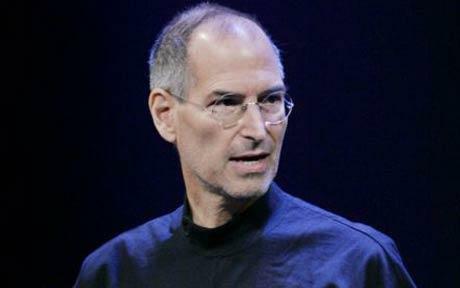 This is a sad time for Steve Jobs, and an interesting time for Apple. How do you believe the Apple brand will evolve? This entry was posted in Uncategorized and tagged Apple, iPad, iPhone, iPod, Jonathan Ive, Marketing, social media, Steve Furman, Steve Jobs. Bookmark the permalink. 1 Response to Will the Apple brand become more open without Steve Jobs? Pingback: Superhype » Blog Archive » Where were you when Steve Jobs died?